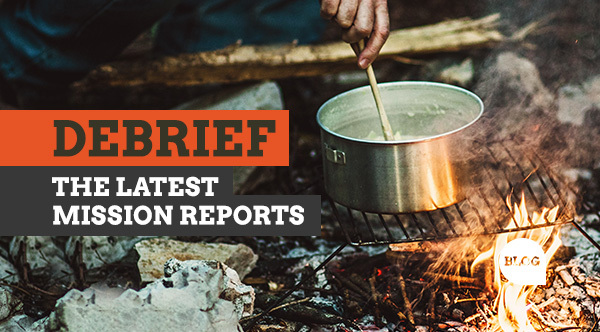 The Nightgear Debrief brings you the latest updates on the best Police, Military, hunting and outdoor brands and products; whilst keeping you informed with tactical gear and kit guides, interviews, and current events. We know outdoor professionals, Military personnel and emergency services require the most reliable gear so since 2002 here at Nightgear we have sourced premium brands who specialise in clothing, footwear, bags, tactical gear, field and survival equipment and more at low prices so you can always have the best for less. Being authorised retailers for core brands like 5.11 Tactical, Blackhawk, Under Armour Tactical and Oakley Military ensures not only a wide choice of outerwear clothing and accessories in a wide range of camo patterns and colours but also Base Layers, protective gloves, caps and more. For durable footwear that offers protection and lasting comfort in tough environments we carry combat boot and shoe collections from Magnum, Aku, Merrell, Berghaus, Meindl, Adidas Military and others. Brands like Condor Outdoor, Maxpedition, 5.11 Tactical and Karrimor SF offer rucksacks, medical packs plus tactical pouches; many which use the universal MOLLE attachment system allowing total customisation over any loadout. Our outdoor equipment and field & survival kit encompasses all of the essential gear you need such as resilient torches from Mag-Lite and Inova; tactical watches by Luminox, Traser H3, Suunto and more; Snugpak sleeping bags, Vango tents plus an extensive range of First Aid kits. For Bushcraft and Hunting we have camping and hiking gear such as stoves and utensils, multi-tools, compasses, GPS systems and even hydration systems like filter water bottles and hydration packs. There is also a range of optical equipment such as binoculars, monoculars and Night Vision goggles. So for all of your Army Surplus, outdoor gear and professional workwear needs shop with us here at Nightgear and enjoy not only a safe and secure shopping experience but also our 30 day Returns policy and Price Promise as well.